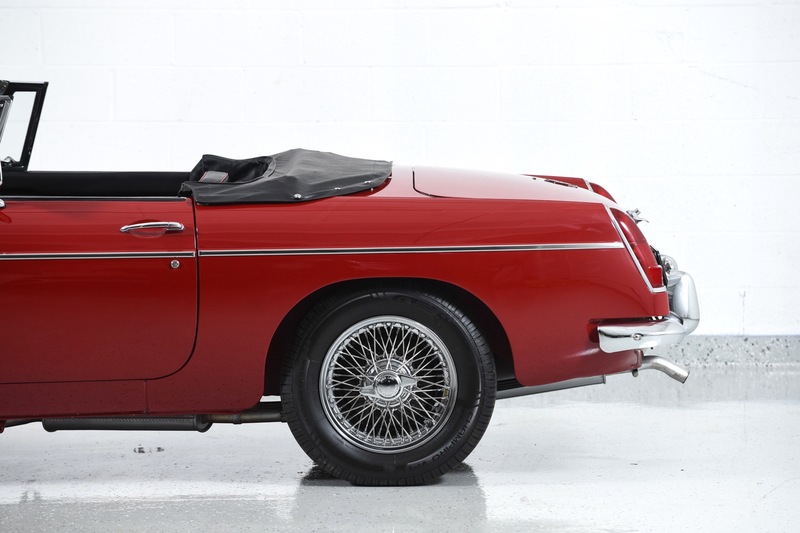 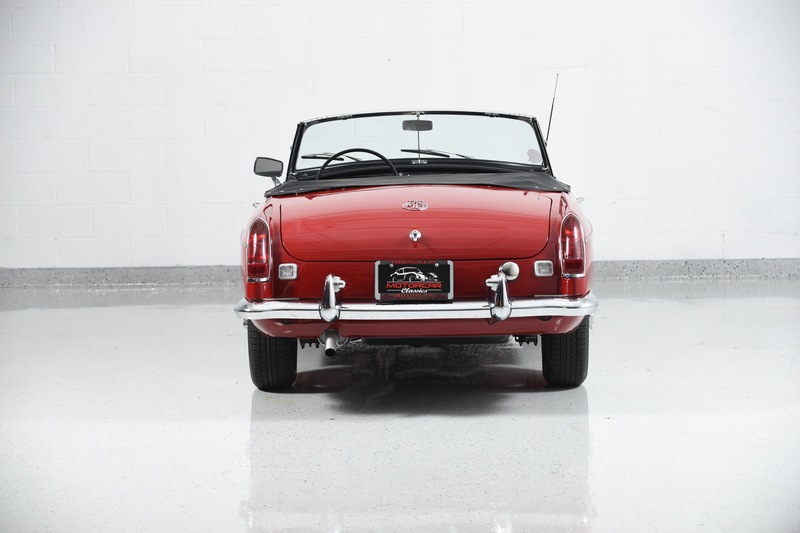 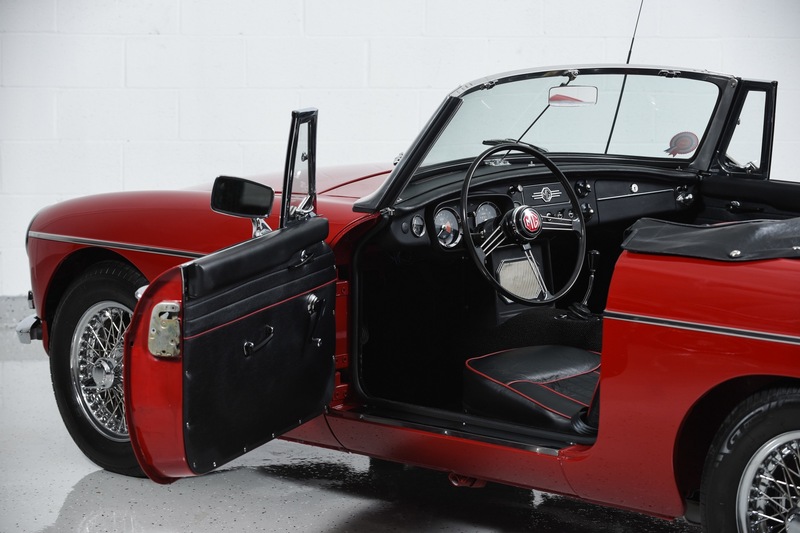 1967 MGB ROADSTER for sale. 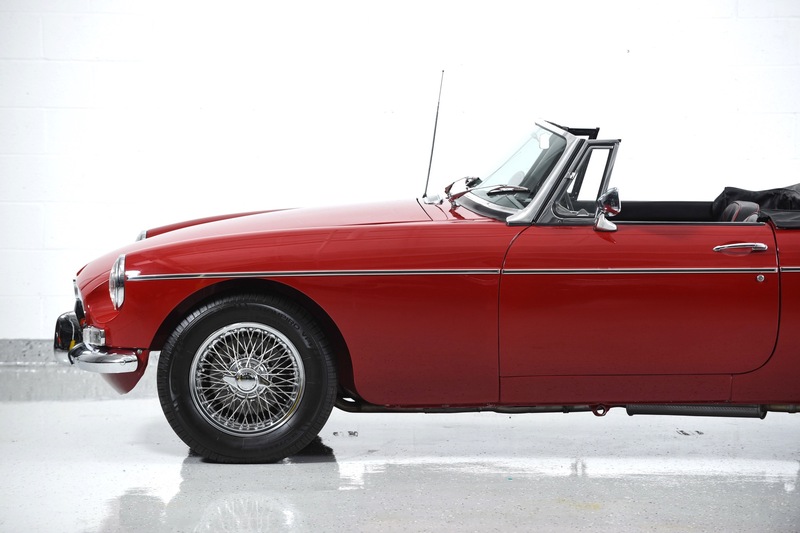 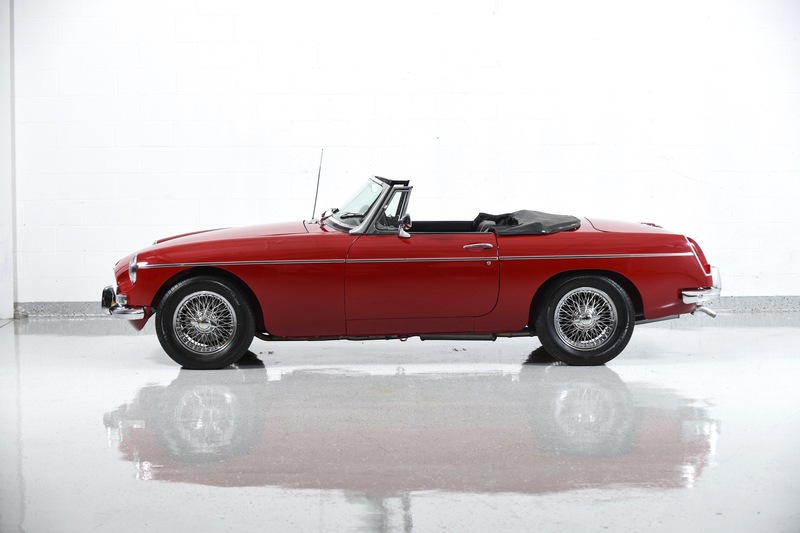 Motorcar Classics is proud to present this 1967 MGB Roadster that has a recent nut & bolt restoration to the highest concours standard. 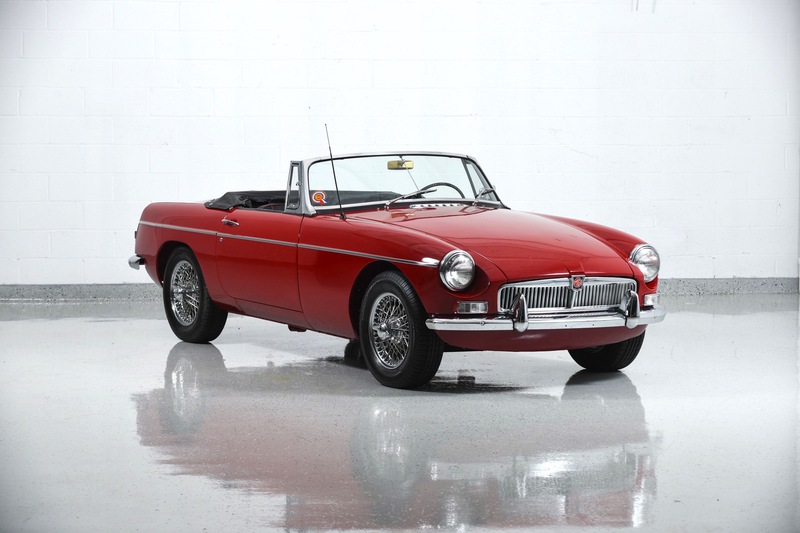 We have seen many MGBs over the years, and can honestly report that we have not seen the equal of this car. 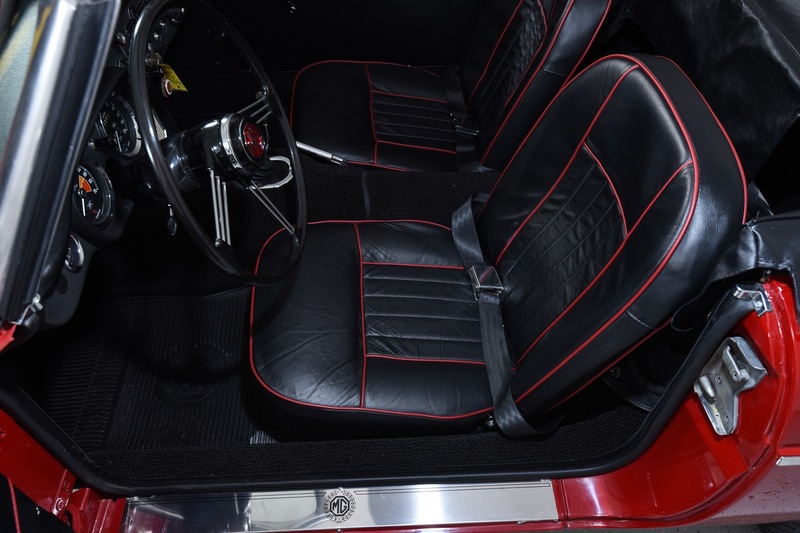 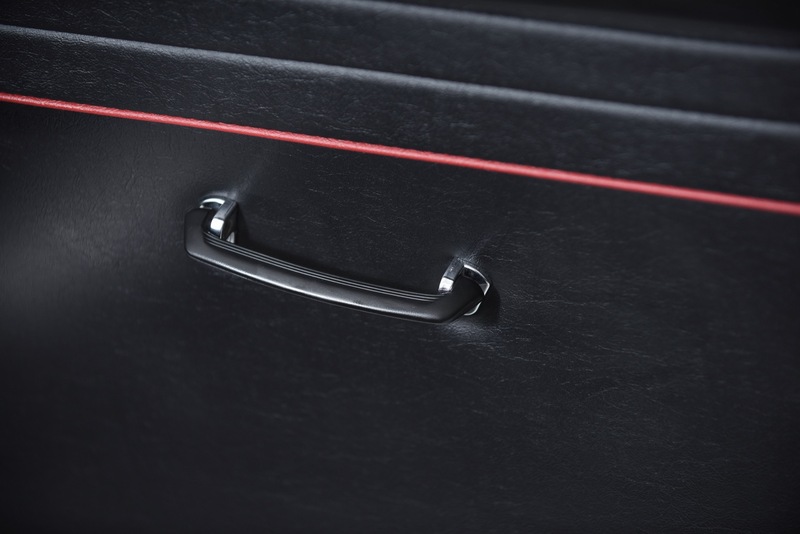 The car is featured in Carmine Red with Black interior with Black leather seats piped in Red. 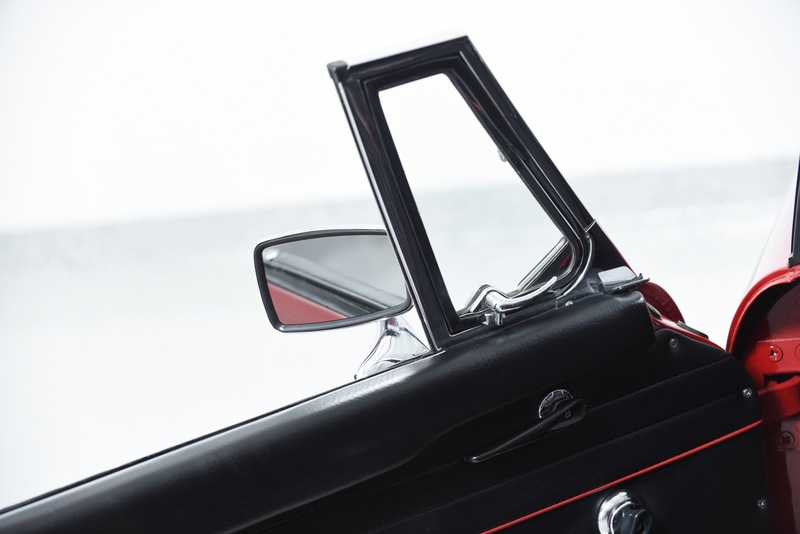 It has a Black convertible top and tonneau and sparkling chrome knock-off wire wheels. 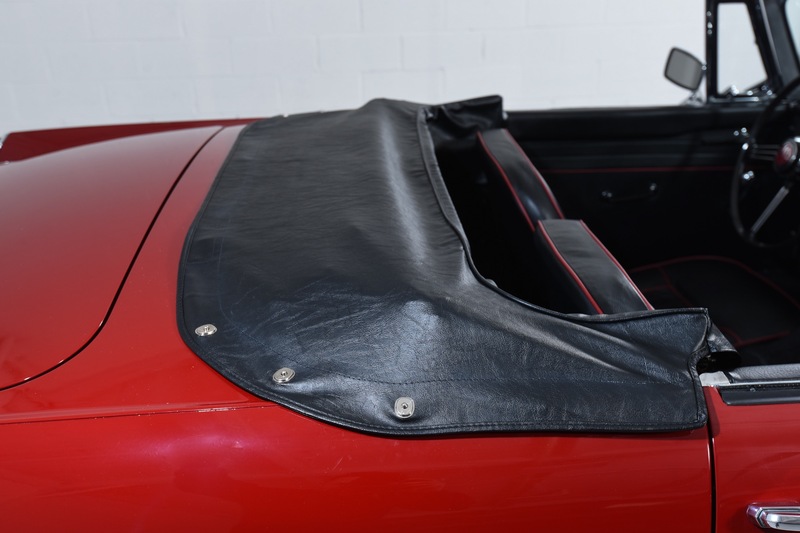 The car is reported to have been restored about two years ago and it comes with a photo album showing the details and extent of the restoration. 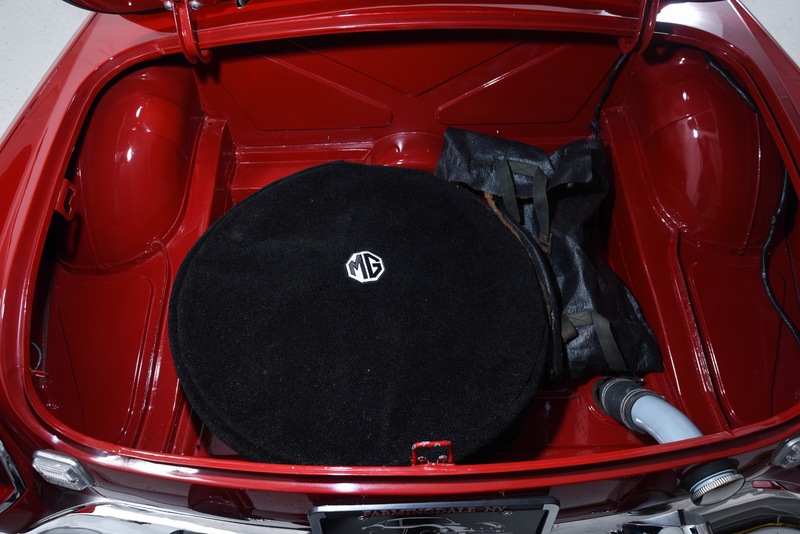 It also has the jack, hammer, spare tire and glovebox key. 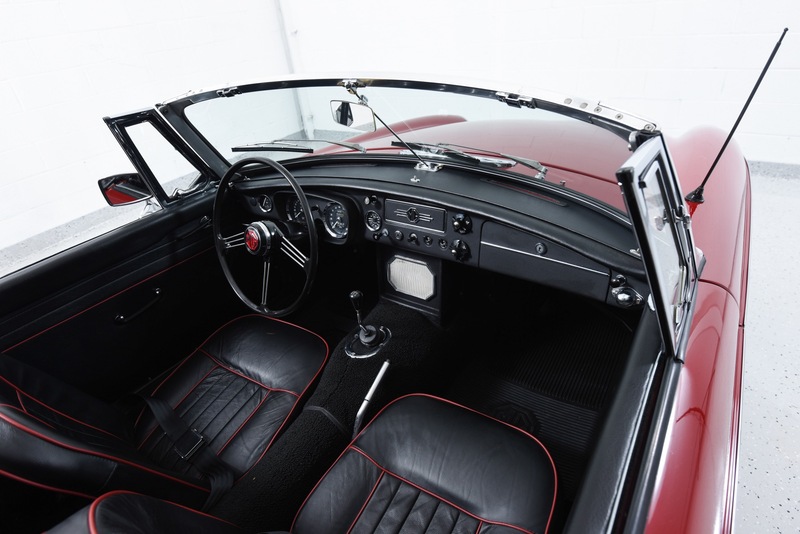 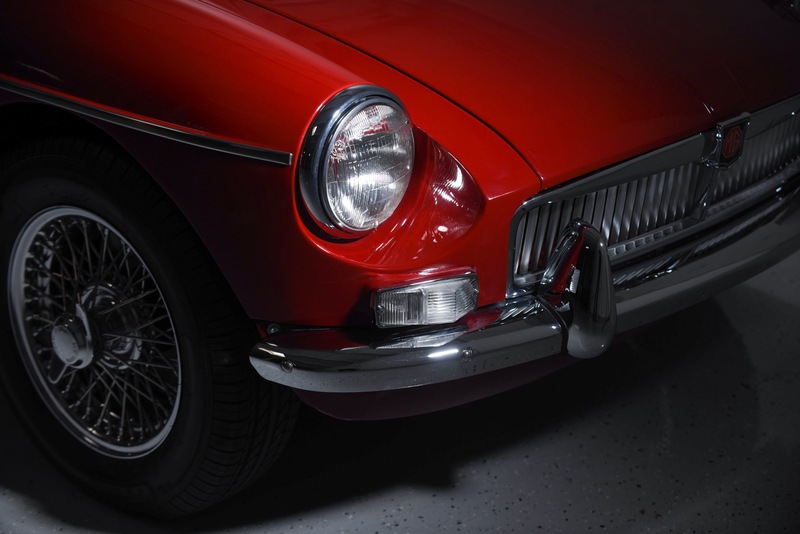 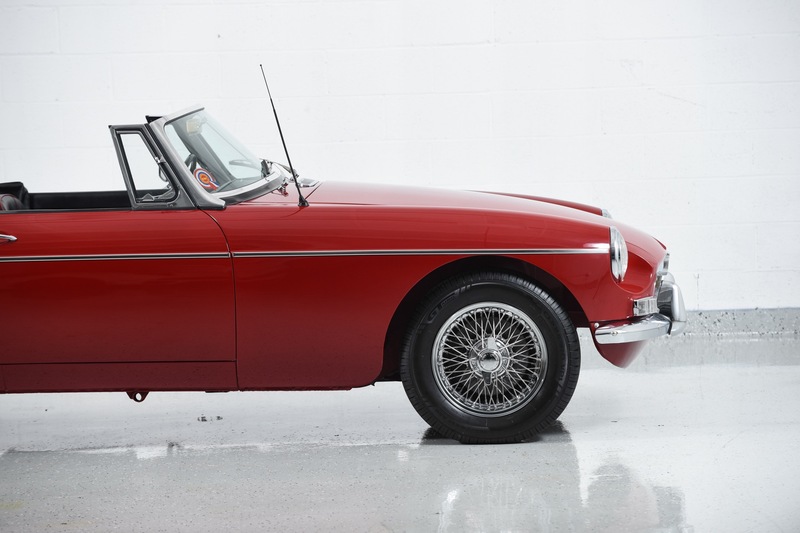 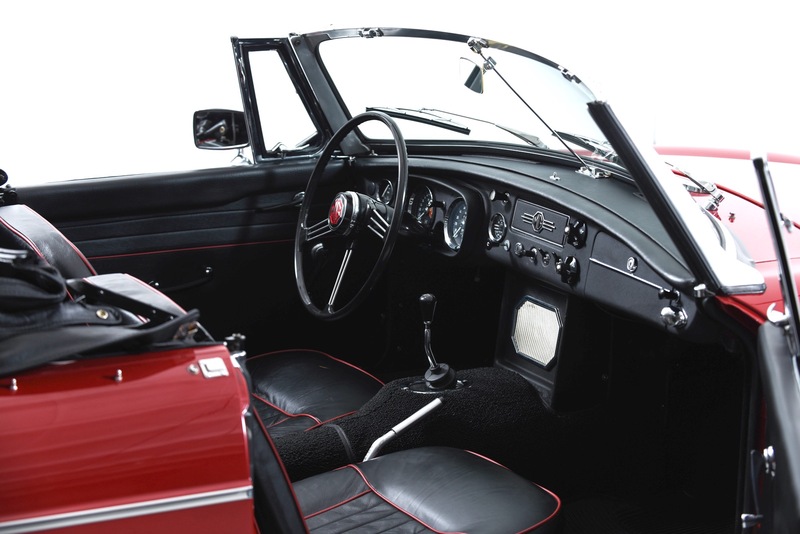 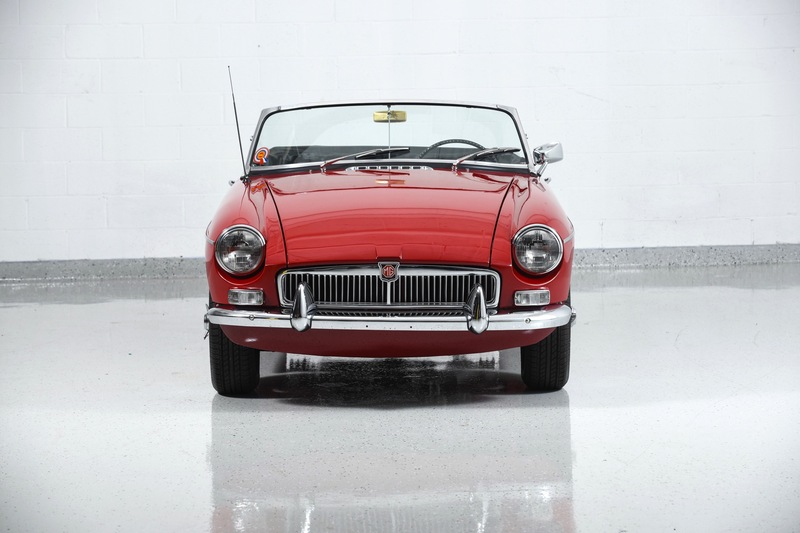 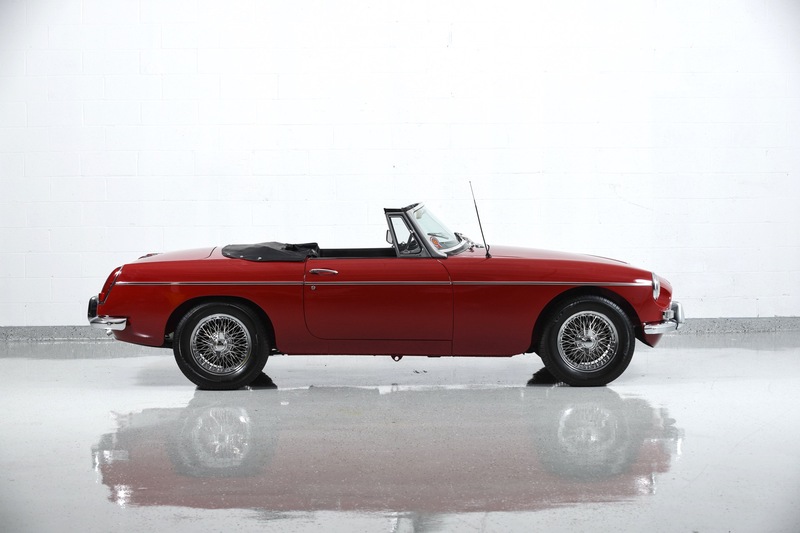 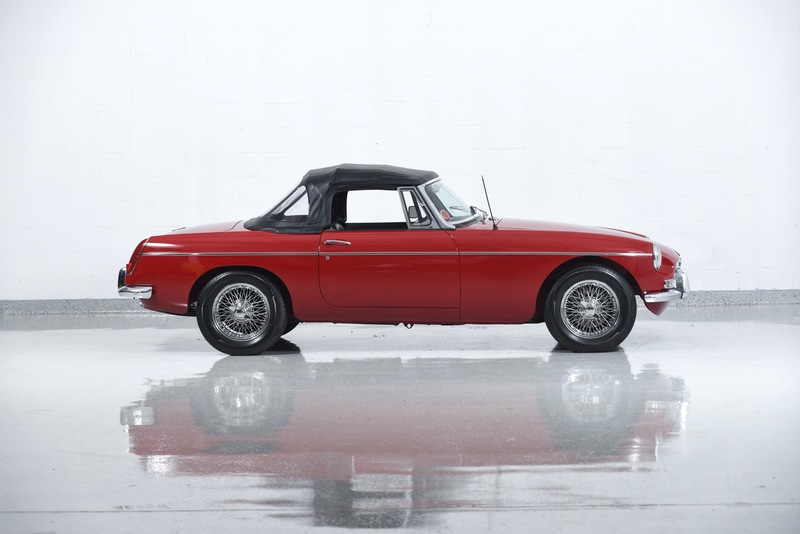 For MGB enthusiasts, the most sought after car is the 1967, the last of the pure MGBs. 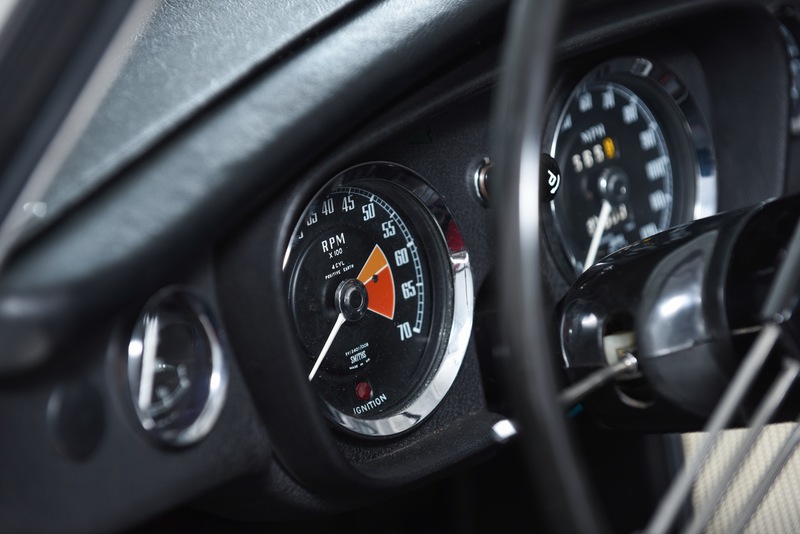 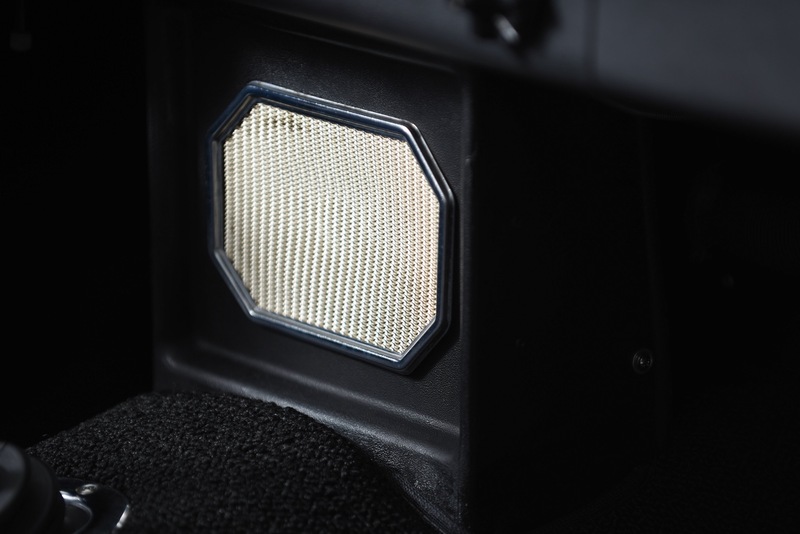 Its the last year of the steel dash; still has shiny bumpers and a handsome grill; and Federal regulations had not yet degraded performance. 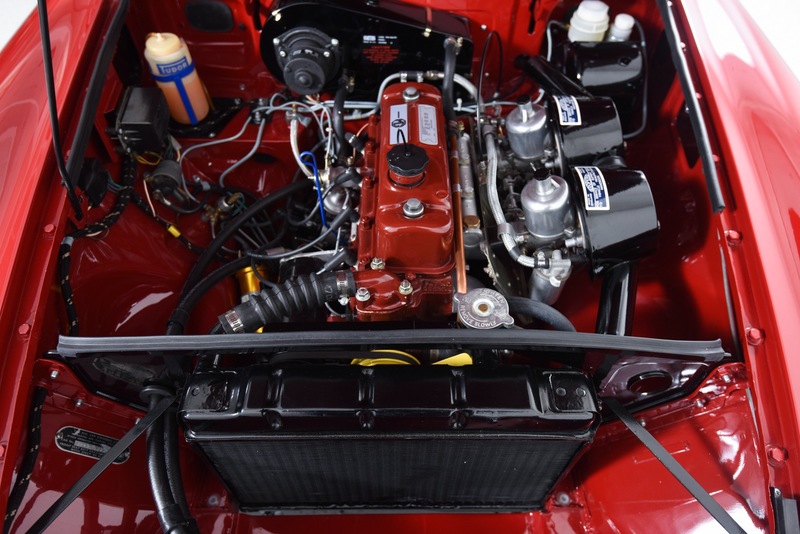 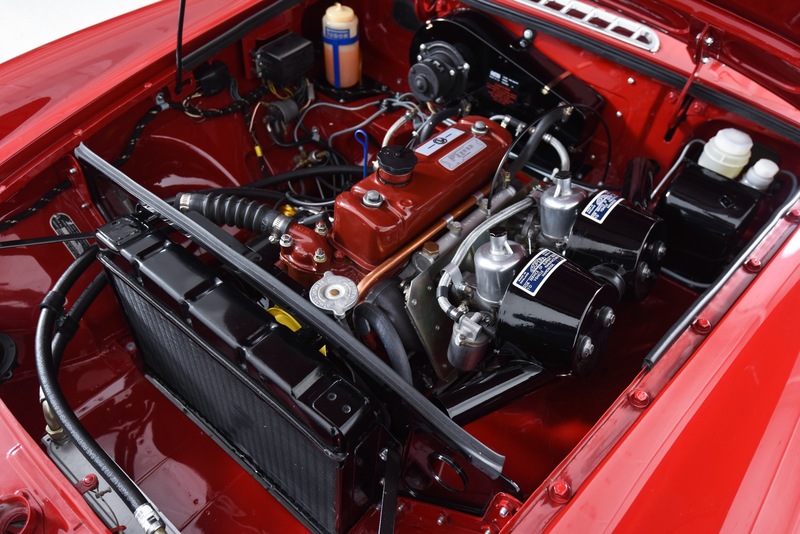 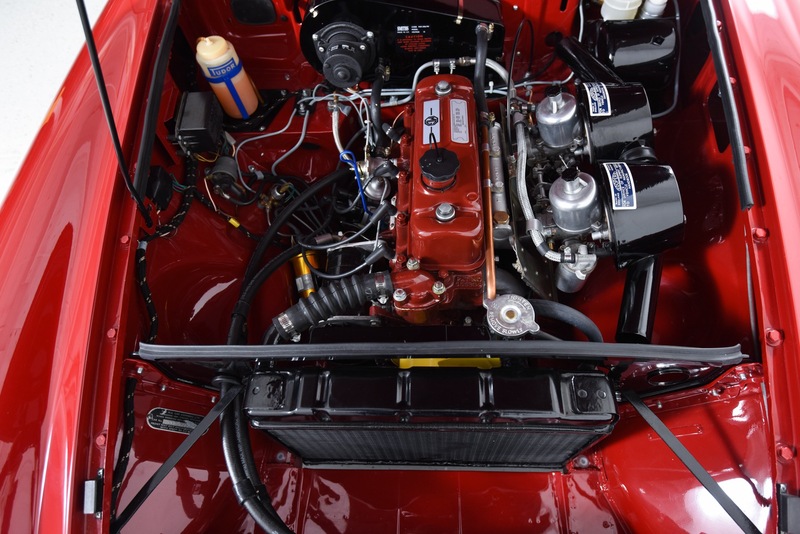 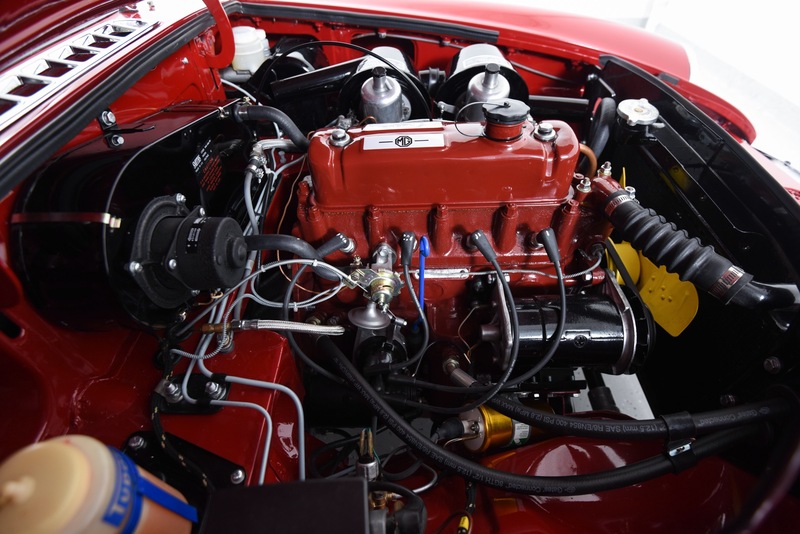 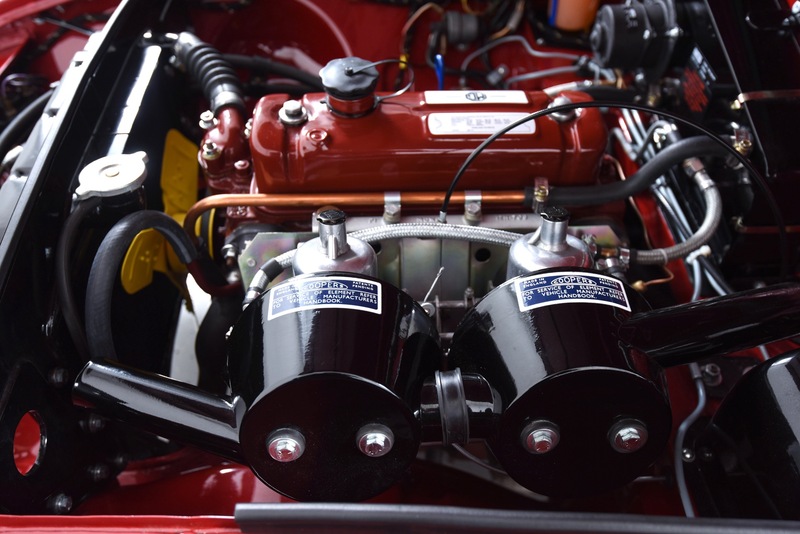 Under the hood, the 1967 engine is a very reliable five-main-bearing design that produces nearly 100 HP. 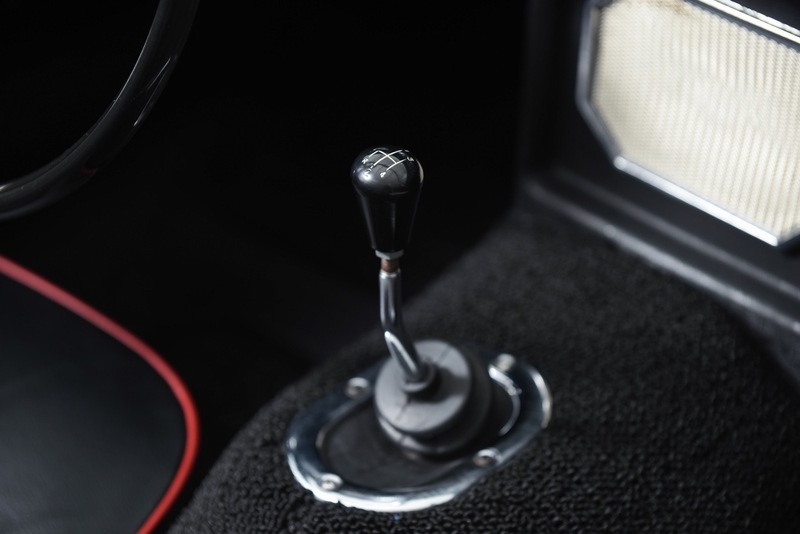 The transmission is a 4-speed, but with synchro only on the top three gears. 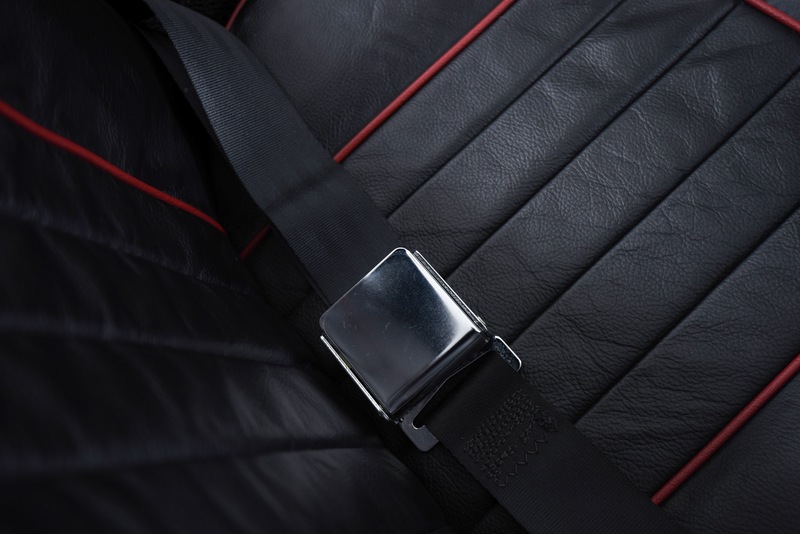 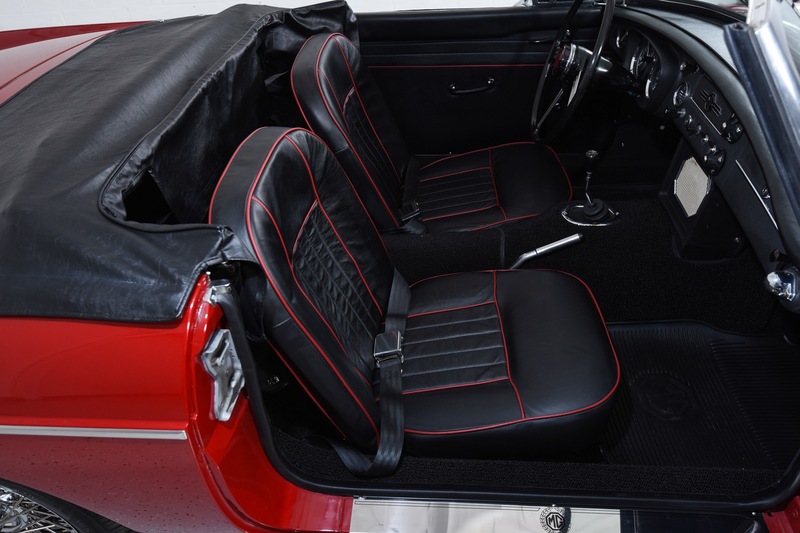 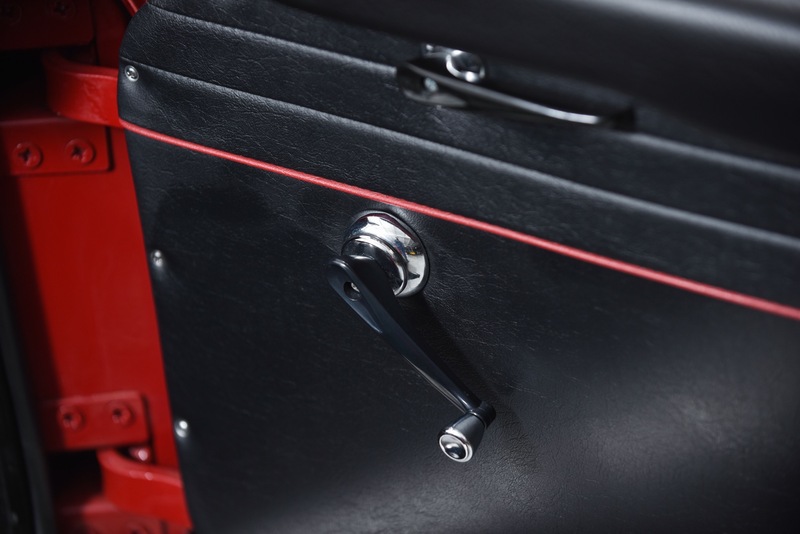 Inside, the seats are upholstered in leather, with lovely contrasting piping, and the dashboard is adorned with black crackle-finish paint and toggle switches, evoking memories of fighter planes and the Battle of Britain. 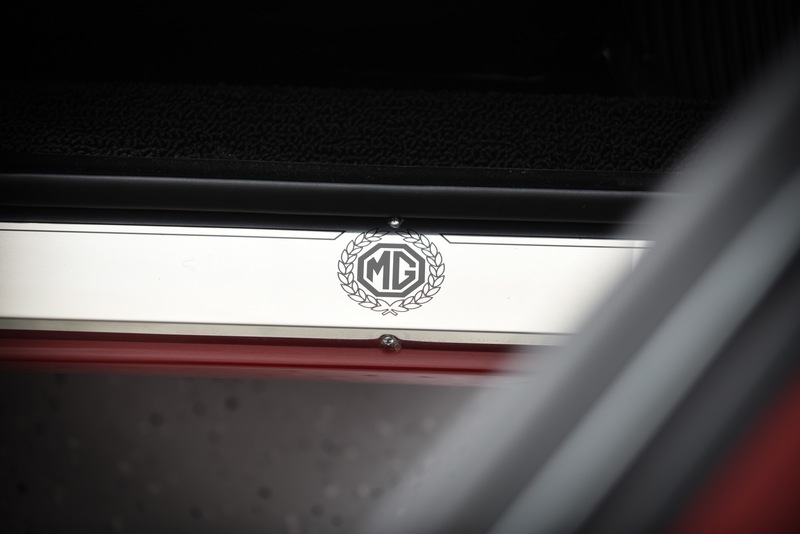 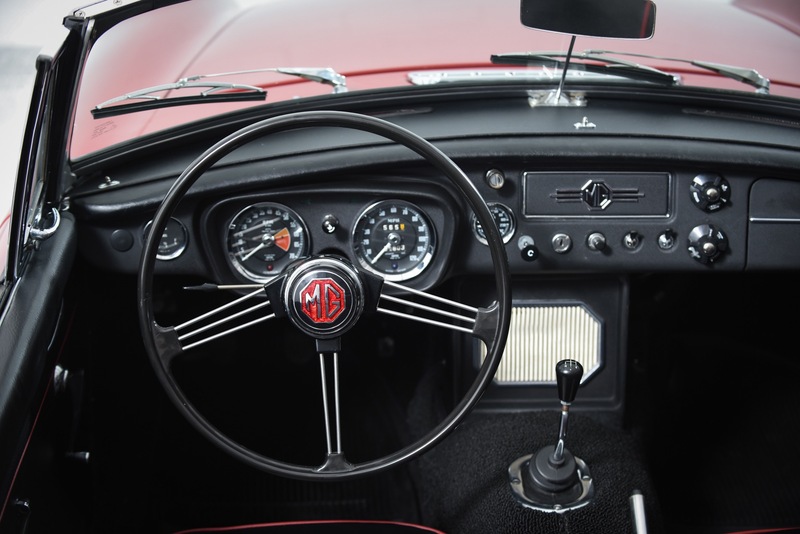 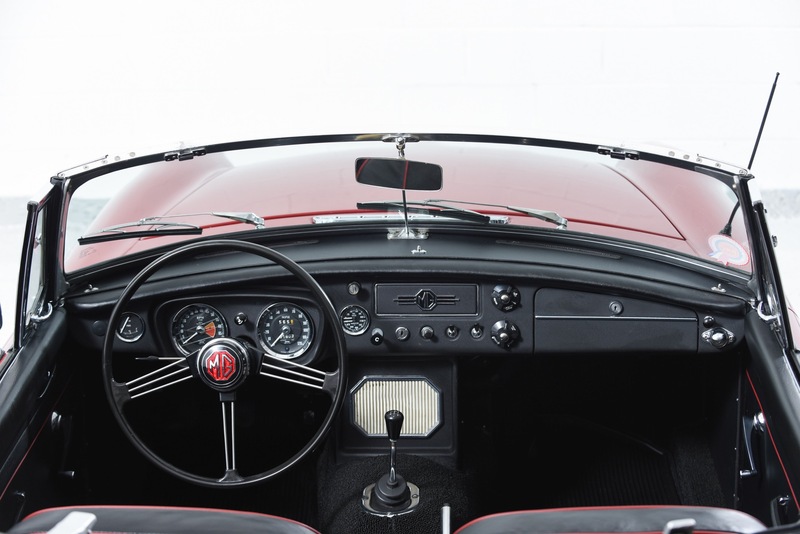 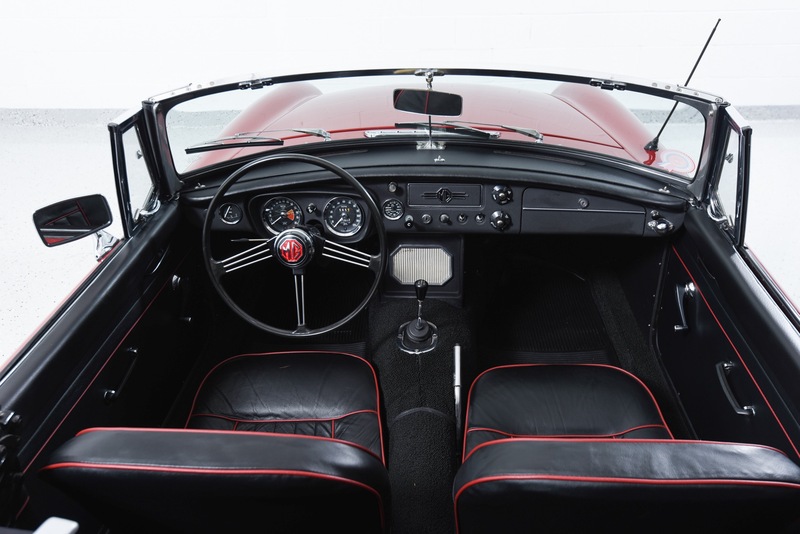 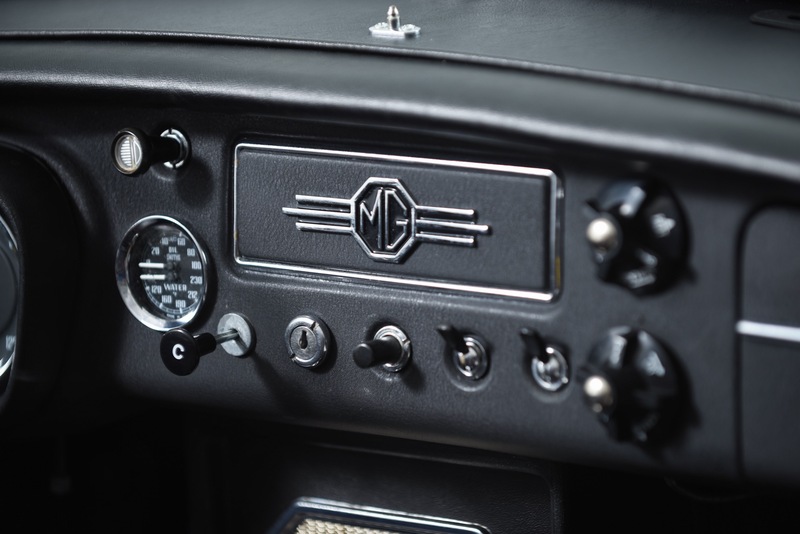 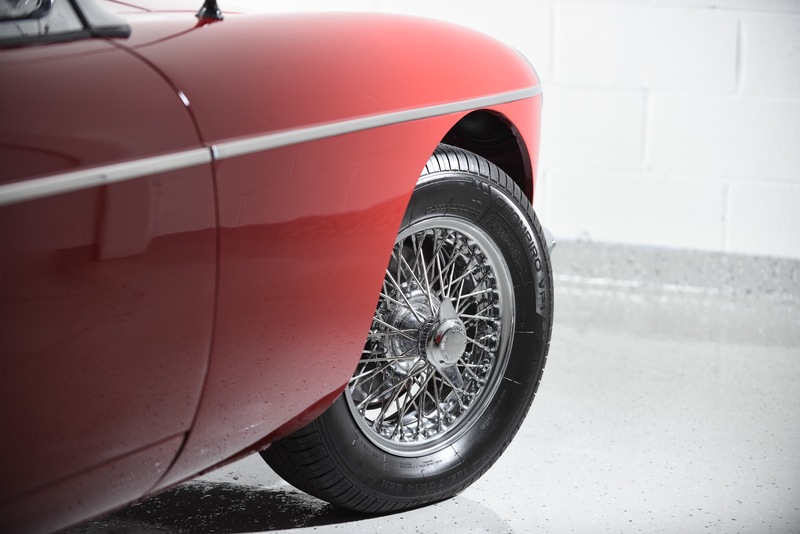 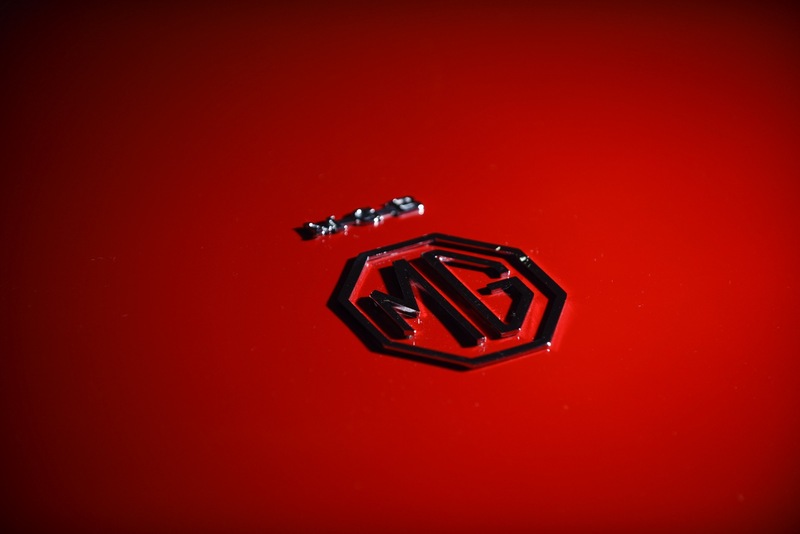 MGBs are among the best driving and user-friendly cars of the classic British sportscar period. 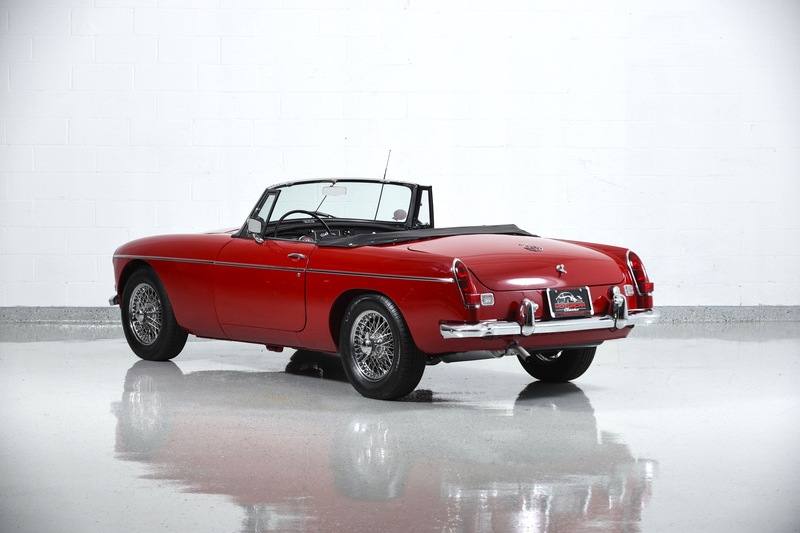 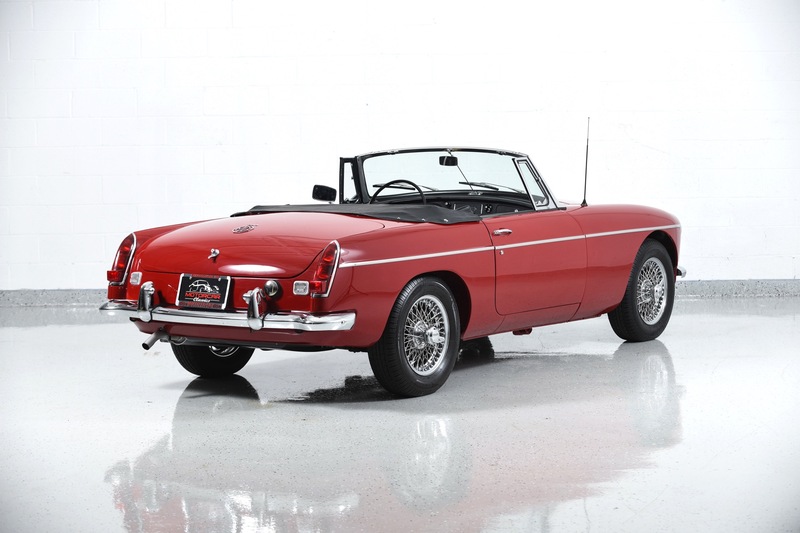 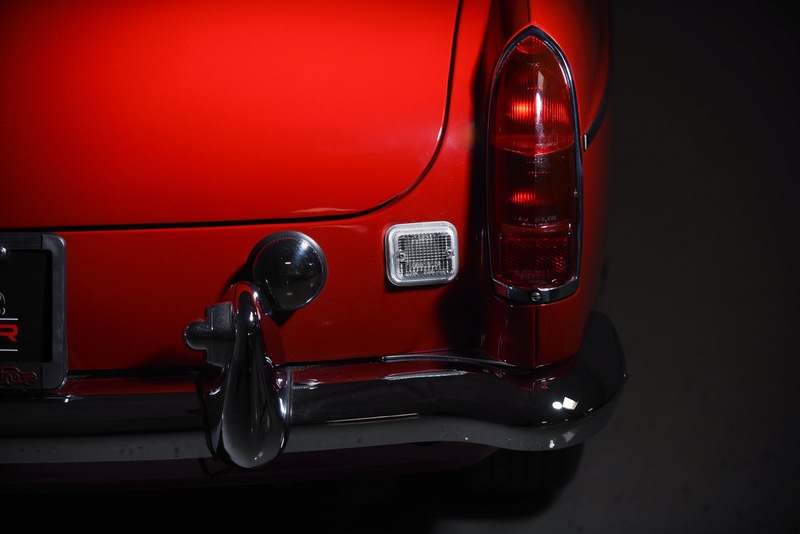 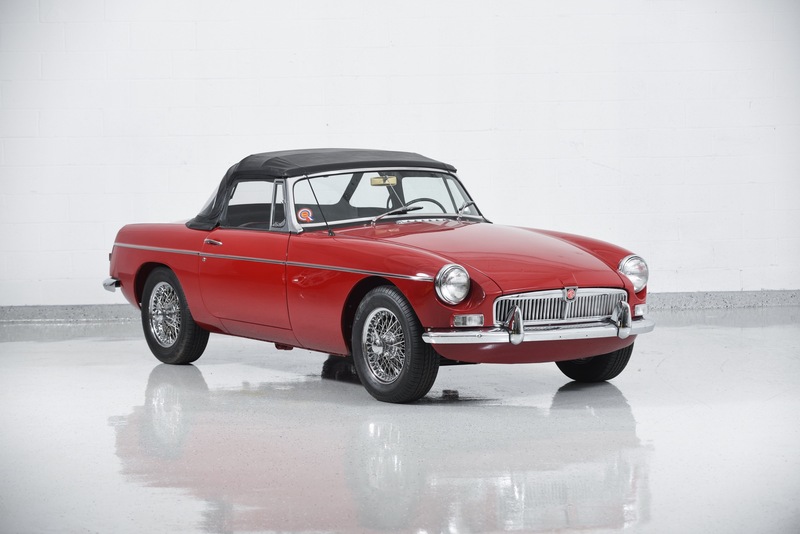 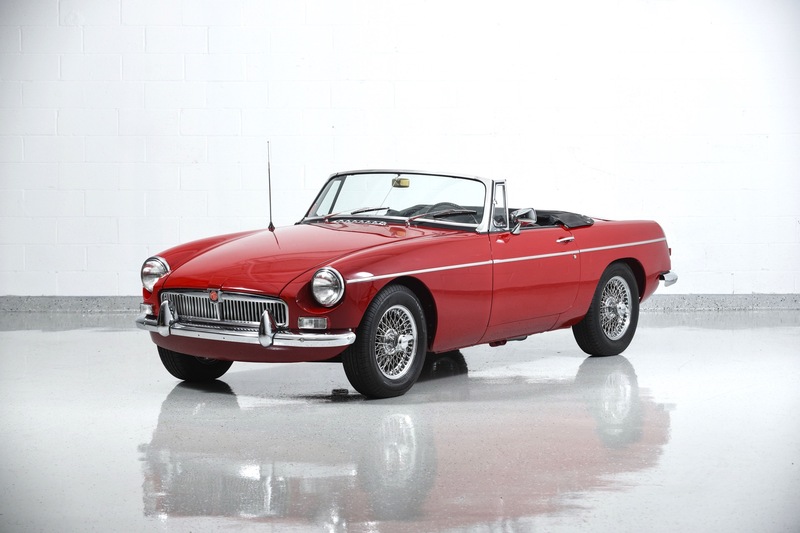 We recommend this car because it is the best example of the best MGB, and yet affordable to most enthusiasts. 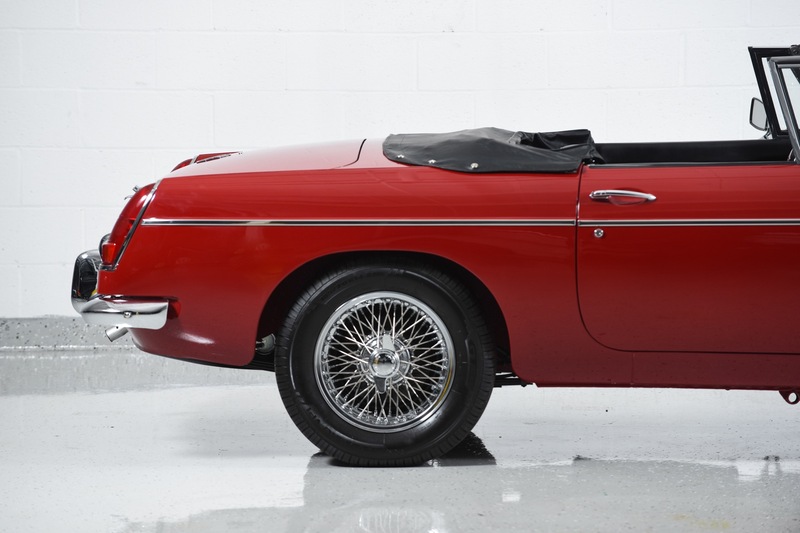 As the values of MGBs continue to appreciate, a car like this will always be at the pinnacle of desirability.